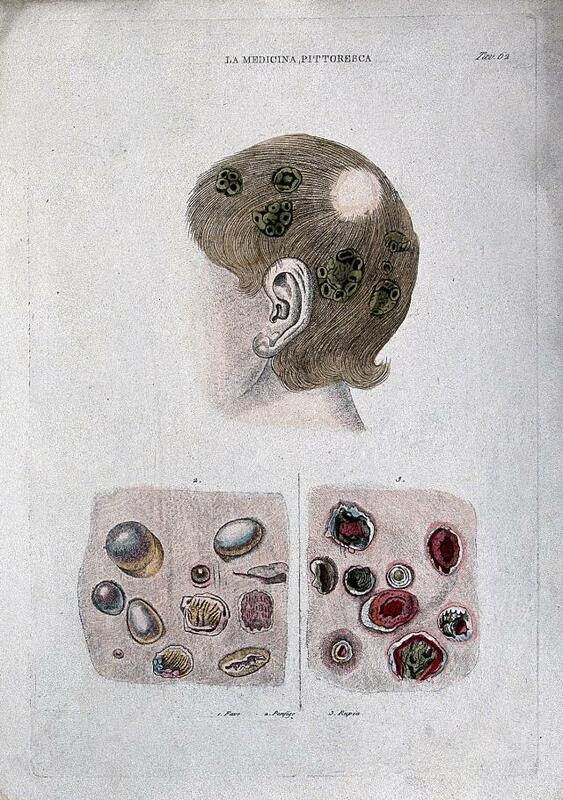 Anatomy and botany; top, human head with external tumours; bottom, cells (?). Coloured engraving, 1834-1837. Favo ... Bears number: tav. 62.